Yet another Mustang has met its maker. The Ford Mustang must be cursed whenever a camera gets pointed at it - we’ve seen so many meet their makers at car meets lately, it’s becoming a cliche. This latest accident happened at a drifting event at Greenville Pickens Speedway in South Carolina - at least it makes a change from seeing a Mustang wiping out while leaving a Cars & Coffee event. The art of drifting requires considerable control to master requiring diligent use of the throttle and steering, but it seems the monster power of this murdered-out Mustang was too much for this driver. As the driver tries to control a slide by countersteering, some mistimed braking offsets the car. 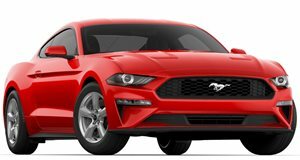 With no time to react, the Mustang suddenly bites back and veers violently out of control. The driver then becomes a passenger, as the muscle car kisses the barrier, crumpling the front-end and dislodging the bumper. Judging from the extensive modifications made to the Mustang (just listen to that ear-splitting exhaust note), the driver must have spent a lot on their pride and joy, so this will have been an expensive mistake. Luckily, the driver was unhurt in the crash and the accident happened on an empty track, so at least no one else was involved in the accident.